This month’s staff pick has been chosen by Taylor, a member of the fifth generation of Bremers to work at the store. 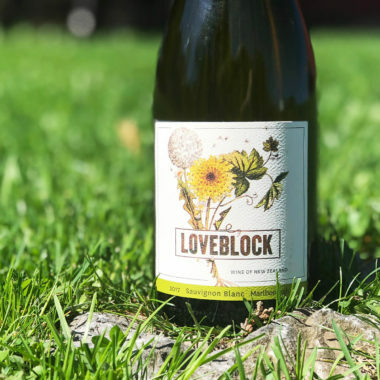 Like so many of us, Taylor often chooses a bottle of wine by the label artwork and once he saw the illustration on Loveblock Sauvignon Blanc, he knew he needed to give it a try. (The 92 point rating from Wine Enthusiast certainly didn’t hurt either). On his first sip, he knew he had made a good decision… with flavors of cantaloupe and crushed sweet meadow grass and balanced acidity this Sauvignon Blanc is the perfect pick to enjoy all summer long. Stop by and pick up your bottle or order your bottle online now for $17.99. Try pairing it with this recipe we found for Pesto Pasta Salad with Chicken by Spiced: One Dash At A Time.